Portability in its own class – With it’s self-loading docking station (optional extra) the Flyte makes transporting the mobility scooter a breeze. Heavy lifting is eliminated, loading and unloading being achieved by using only 2 buttons on the remote control. Enhanced 5 wheel stability. Using British designed 5 wheel Quintell™ technology makes for unrivalled stability, crucial for negotiating hills and slopes and when mounting or descending kerbs. 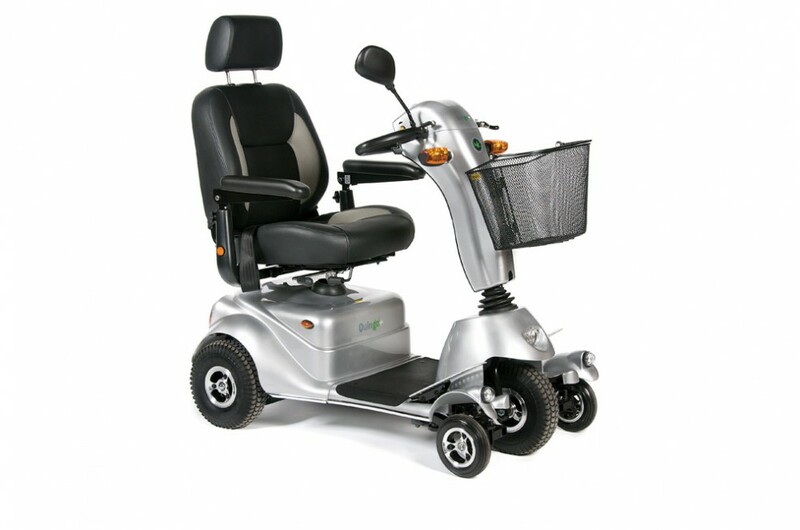 Tighter turning circle – This makes for agility, while maintaining safety, in places with restricted space such as small shops and shopping centres.